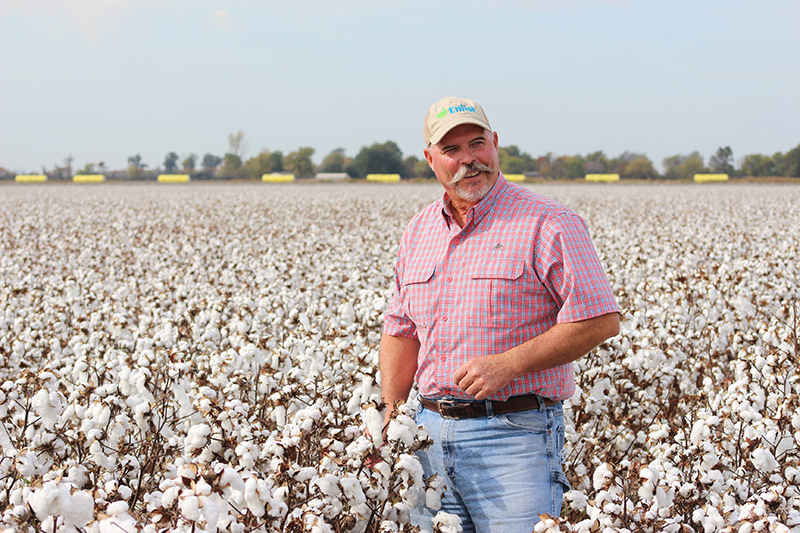 Missouri Bootheel cotton producer Doug Scott says PhytoGen provides consistent yield potential and unmatched yield protection to help him thrive in cotton. Whether it’s protection from bacterial blight or RKN, Scott says PhytoGen Breeding Traits provide always-on protection to help him maximize yield and fiber quality. It’s one less thing to think about during the season. Since the launch of PhytoGen® W3FE varieties, cotton producers have recognized the benefits of WideStrike® 3 Insect Protection and the Enlist™ weed control system. While many have planted PhytoGen for these trait technologies, something else piqued the interest of Midsouth cotton producer Doug Scott. Scott soon found out firsthand that PhytoGen excelled in yield and fiber quality. He planted a small amount of PhytoGen cottonseed in 2014 and was so impressed that he planted PhytoGen on 90 percent of his cotton acres the following year. Now Scott plants 100 percent PhytoGen on his farm, and his yields are getting better and better with new PhytoGen W3FE varieties. Last season Scott had his best crop ever, with “extremely good yields from PhytoGen.” In an on-farm variety trial, PhytoGen® brand PHY 430 W3FE and PHY 350 W3FE earned the top two spots, yielding 1950 pounds/A and 1883 pounds/A, respectively. The six PhytoGen brand varieties in the trial averaged 1,850 pounds/A. These consistently high yields have convinced Scott he can thrive with PhytoGen. “Bottom line is still yield, because if you have enough pounds you can compensate for a lower price. So yield is still top priority – but most importantly, consistent yield,” Scott says. While yield is most important, Scott says PhytoGen varieties offer excellent yield protection, with leading trait technologies and unique genetic characteristics. He says WideStrike 3 provides excellent protection against bollworms, and the Enlist weed control system keeps his fields clean from resistant pigweed. The fact that the Enlist cotton trait comes in a PhytoGen bag makes him even happier. 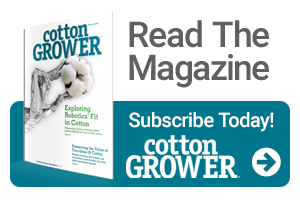 “We have premier products with both PhytoGen cottonseed and the Enlist system, and the beauty is that they are combined together,” Scott says. Scott also says genetic characteristics such as excellent early season vigor and storm tolerance help maximize plant health and keep lint in the bolls until the end of the season. His area can get straight-line winds in late summer, so storm tolerance is a key benefit. ®™PhytoGen, PhytoGen Breeding Traits and the PhytoGen Logo are trademarks of PhytoGen Seed Company, LLC. ™®Trademarks of Dow AgroSciences, DuPont or Pioneer, and their affiliated companies or their respective owners. The Enlist weed control system is owned and developed by Dow AgroSciences LLC. Enlist Duo® and Enlist One™ herbicides are not registered for sale or use in all states or counties. Contact your state pesticide regulatory agency to determine if a product is registered for sale or use in your area. Enlist Duo and Enlist One herbicides are the only 2,4-D products authorized for use with Enlist crops. Consult Enlist herbicide labels for weed species controlled. Always read and follow label directions. PhytoGen Seed Company is a joint venture between Mycogen Corporation, an affiliate of Dow AgroSciences LLC, and the J.G. Boswell Company.